Have questions about SAM Family Programs? Community Night Out is a free festive art celebration that takes place in the evening with activities and performances that appeal to a wide range of age groups, like dance workshops, performance art, My Favorite Things tours of the galleries, music demos, all-night art-making activities, a video response booth, DJs, and much more. Free Family Festivals include live music and shadow puppetry, face painting, music demos and workshops, dance lessons, and more. 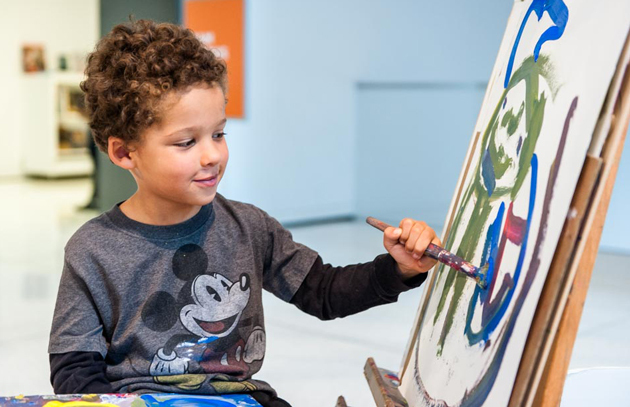 Get inspired on a family-friendly tour of the galleries; then participate in several different daylong art-making activities that connect to major themes in SAM’s current exhibitions. Introduce your family to a variety of cultures and artistic traditions during a Family Fun Workshop. This art experience is designed to engage both kids and adults in two hours of learning and creating together. Every workshop begins with a sketching tour of the galleries. With the guidance of a Teaching Artist and a wealth of provided art-making materials, harness your imaginations to create a masterpiece inspired by your art adventure. Workshoppers have created portraits of important women in their lives, wearable art inspired by contemporary Japanese fashion, gold pendants, abstract dot paintings inspired by Australian Aboriginal art, and puppets! 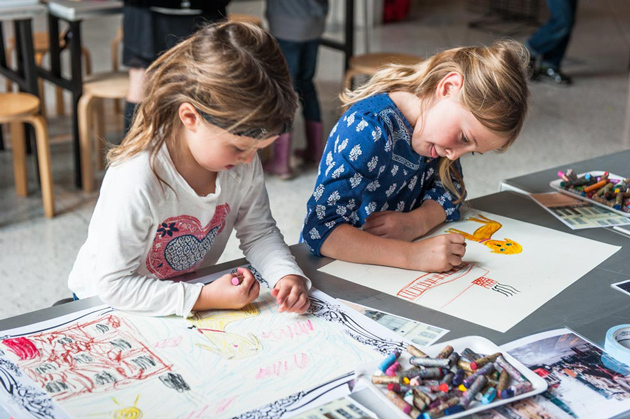 Workshops are designed for specific age groups to provide an experience tailored to the needs of Tiny Tots (ages 3–6) and Young Artists (ages 6–10). 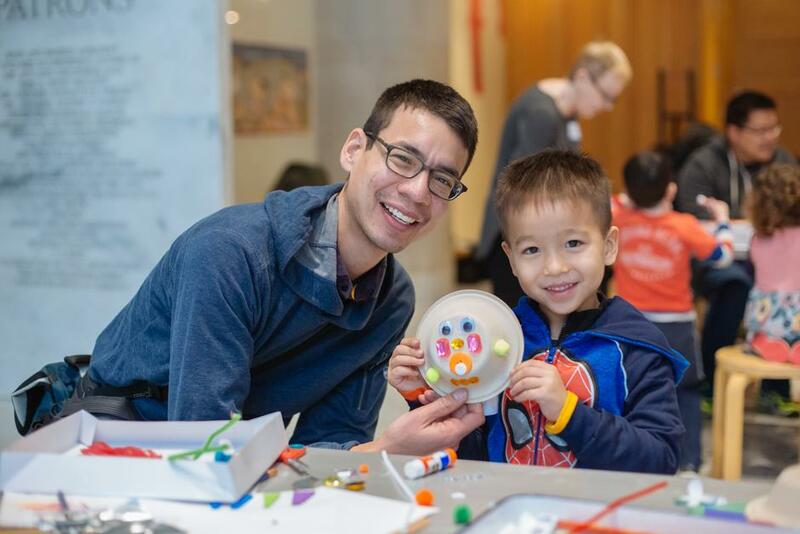 Free First Saturdays are on temporarily on hiatus until the Asian Art Museum reopens in fall 2019. Create art that connects with the world cultures inspired by SAM's Asian art collection. 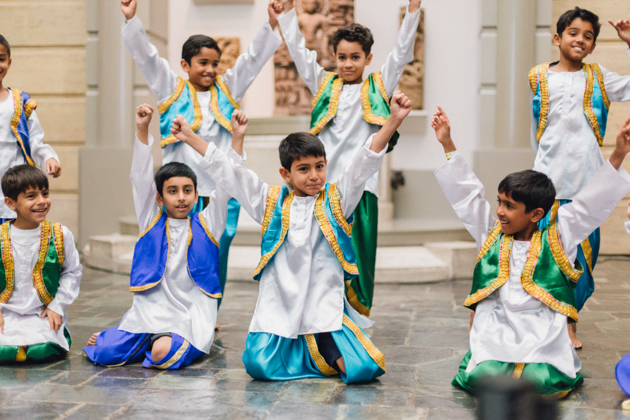 Each Free First Saturday has an exciting new theme and a variety of activities that include drop-in art making, modeling traditional costumes, performances, or a family-friendly movie. 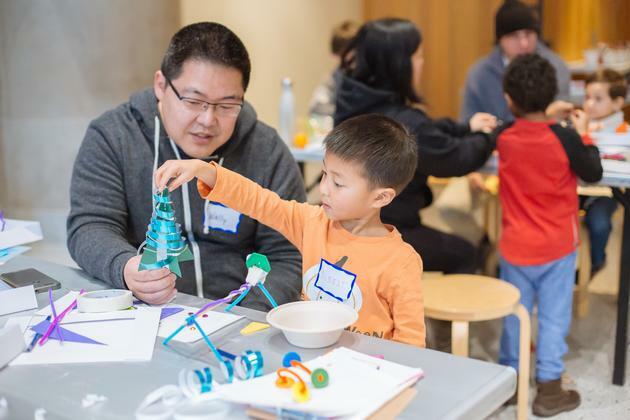 With the closure of the Asian Art Museum, our programs are taking place downtown at the Seattle Art Museum and at offsite locations in the community. These events are designed for kids ages 3–12 and their parents or guardians and are free and open to the public. 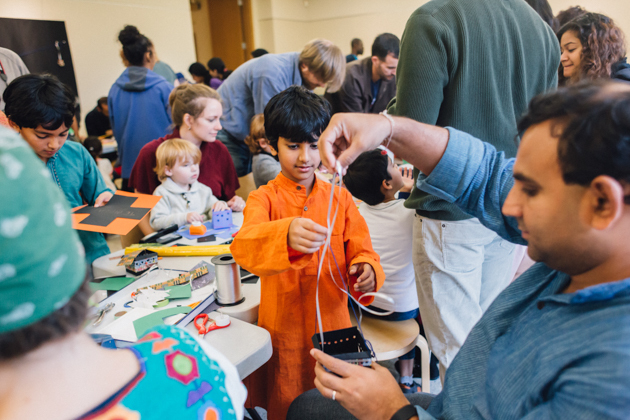 At Free First Saturdays, families create delicate wire and bead Bodhi Trees, clay pots, colorful Rangoli Mats inspired by images from the Ramayana, personal treasure boxes, exquisite cherry blossom watercolor paintings, fun and functional kites, shadow puppets, and learn calligraphy. 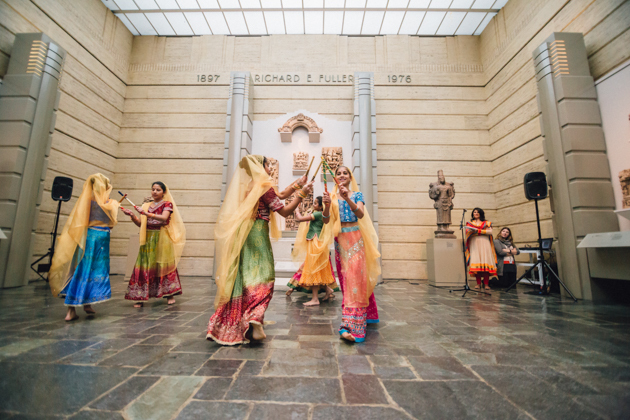 Every fall, be on the lookout for a very special Diwali-themed Free First Saturday, featuring henna and a fashion show presented by SAM Partner Junior Asha. Every February, celebrate the Chinese Lunar New Year with activities focused on the New Year’s zodiac animal. Every summer, children entering grades 1–5 can experience three fun-filled weeks of inspiration and creativity at SAM. Campers will sharpen their art-making skills, unleash their imaginations, make new friends, and explore SAM’s galleries and outdoor spaces. Each week is packed with fresh and exciting activities and new experiences, so send campers to one week or all three! We guarantee they’ll expand their creativity and build great memories. SAM Camp is now sold out. Please email us to be added to the waitlist. Have questions about SAM Camp? Tiny Trees Preschool’s newest classroom is the Olympic Sculpture Park! 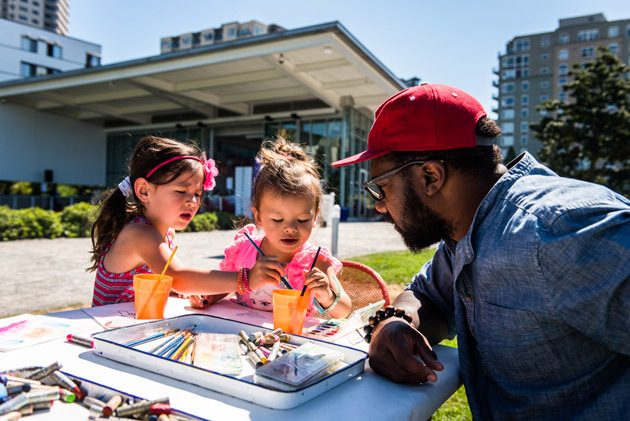 In collaboration with the Seattle Art Museum, this outdoor preschool has a strong focus on art and play-based education. Students will explore art and the natural environment, using the park’s collection and landscapes to develop curiosity, creativity, and social and emotional skills. Have questions about Tiny Trees Preschool? Play, picnic, and create in July and August at Summer at SAM. 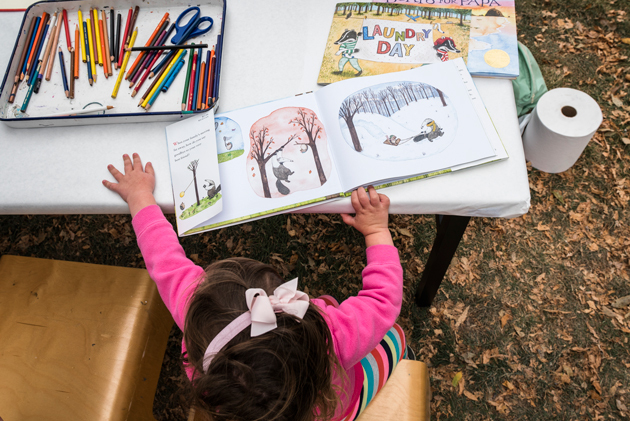 Every Thursday evening, enjoy live music, art making, food trucks, and our kids corner. On Saturdays, get moving outside and engage in studio sessions with local artists. Don’t miss Family Field Day, a special Saturday in July featuring family-friendly yoga, art activities, and programs with community partners. 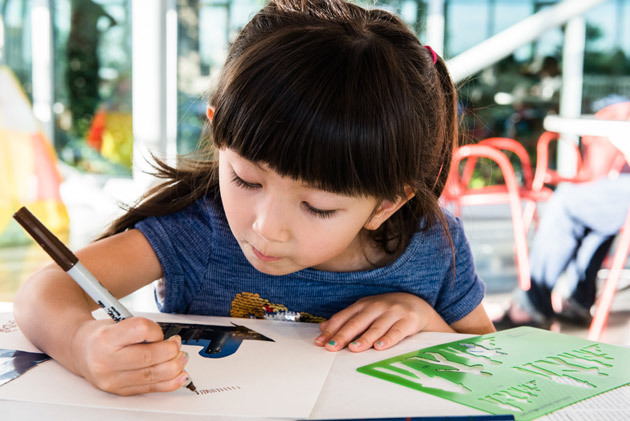 Bring your family to get creative at the Olympic Sculpture Park! On select Saturdays, children and their caregivers can make and explore the Olympic Sculpture Park together. Have fun while you learn about art at the park and our local environment! ​On your way to the Chase Open Studio, climb the steps past Chinese marble soldiers and see the original Sammy the Camel from the Asian Art Museum in Volunteer Park, now in his new home downtown. 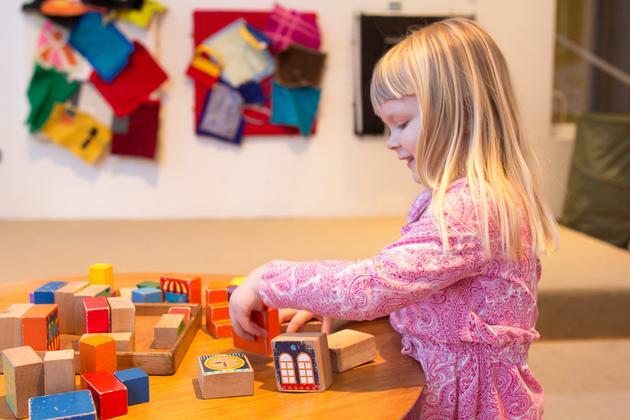 In the Open Studio, find everything you need to create your own piece of art inspired by major themes in Seattle Art Museum’s current special exhibition. 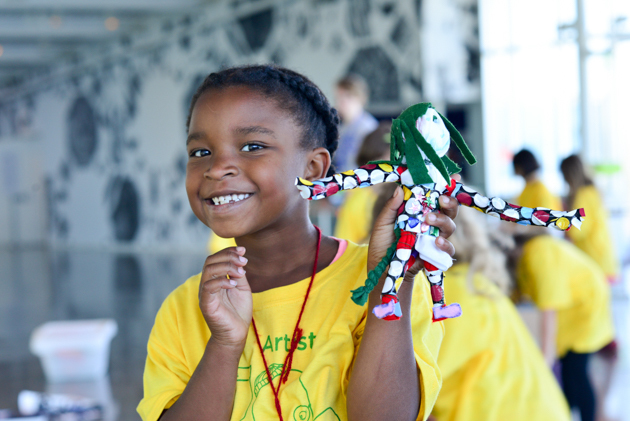 Use the self-guided art-making activity to get started, then let your imagination soar. Chase Open Studio is located along the grand staircase between the 1st Avenue and University Street entrance and 2nd Avenue. 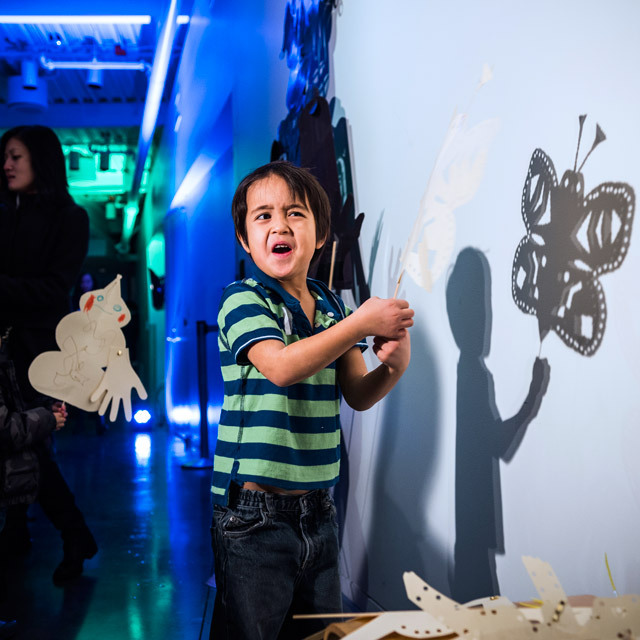 ​We have resources to support engaging art experiences for your family in our new Education Resource Center. 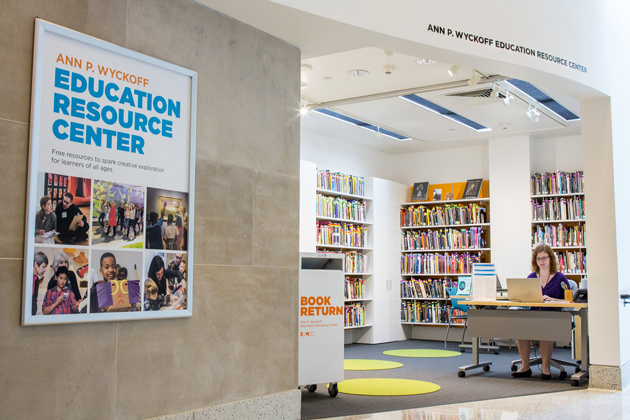 Connect to art and world cultures in children’s book reading area or check out one of our new Family Fun Gallery Resources. Located up the stairs from the Chase Open Studio near Second Avenue. 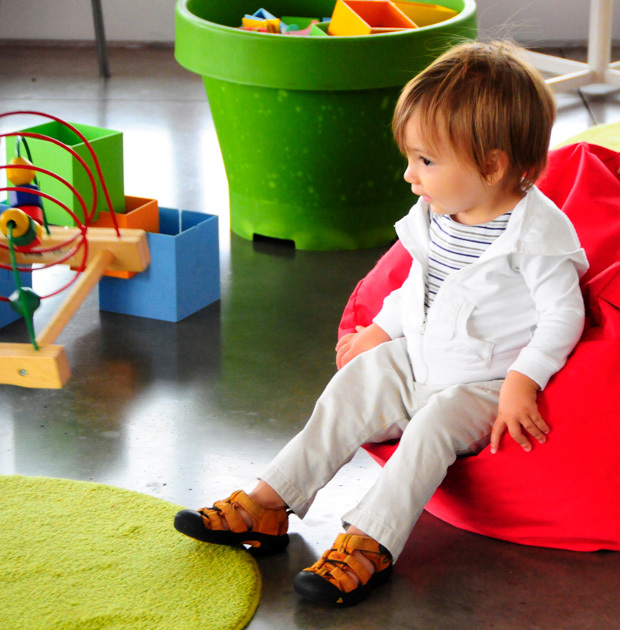 Tucked away in the third floor galleries, the Knudsen Family Room is a perfect spot for rest and play. Discover a new book, find your rhythm and jam on a drum, or channel your inner architect with blocks​. 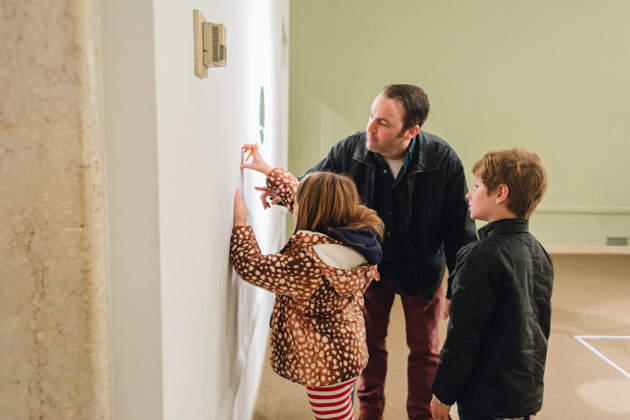 Head back into the galleries energized for more fresh art encounters. Knudsen Family Room is located in the South Building on the third floor and is accessible to everyone who visits the galleries. Take a break from the sun (or rain), and come play in the PACCAR Pavilion. Relax in a beanbag chair, read a new book, do a puzzle, or create your own masterpiece. Leave ready to take in more monumental sculpture on another walk through the park. The play area is located in the PACCAR Pavilion at the NE corner of the park.